Create a sophisticated lounge air with these two pieces. The chair and ottoman showcase a refi ned style with wingback sides, nailhead trim and button tufting. The upholstered design comes in two color options paired with simple, espresso-finished cabriole legs. 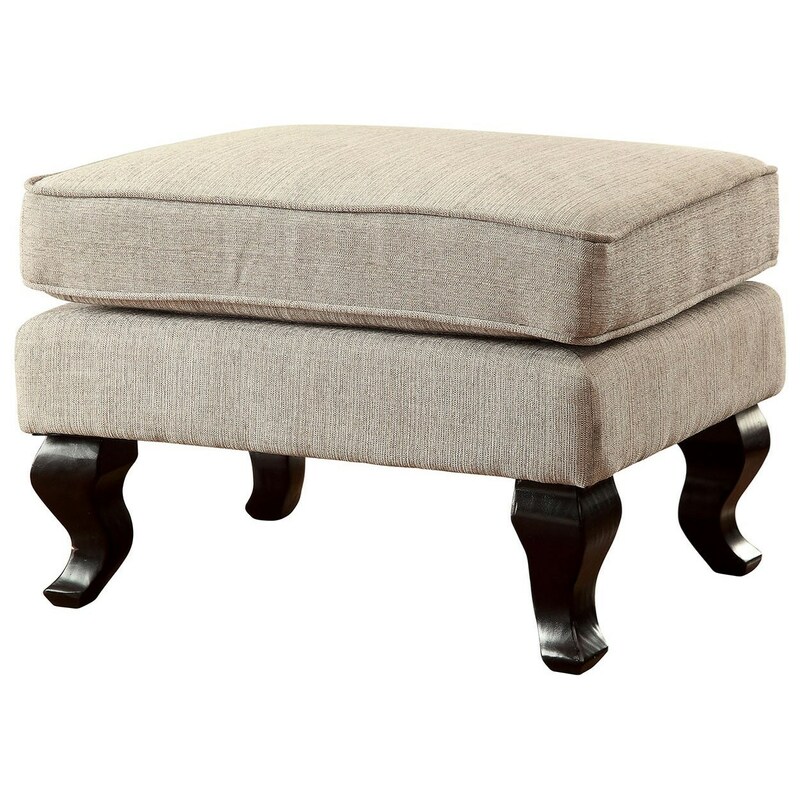 The Willow Traditional Ottoman by Furniture of America at Del Sol Furniture in the Phoenix, Glendale, Tempe, Scottsdale, Avondale, Peoria, Goodyear, Litchfield, Arizona area. Product availability may vary. Contact us for the most current availability on this product.